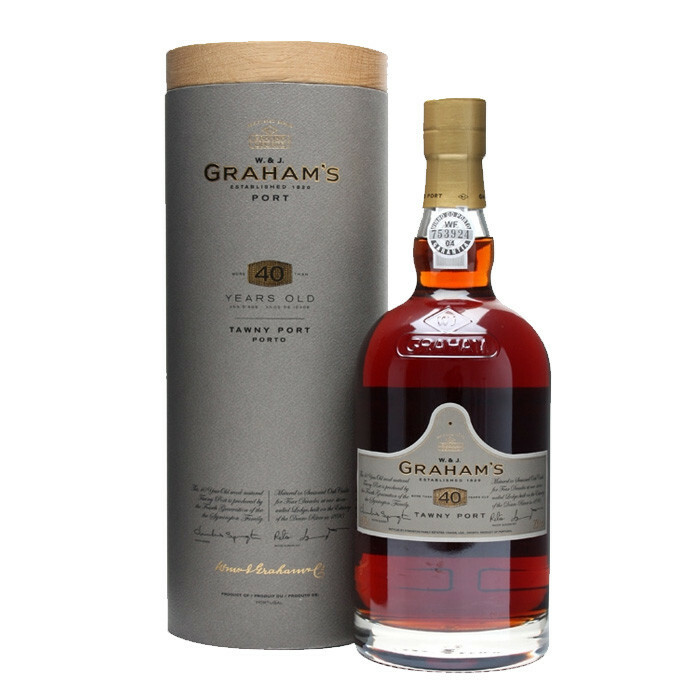 The 40-year-old tawny release from the famed port house of Graham's – the oldest in their regular range. Well aged in oak and assembled by master blender Charles Symington from wines laid down by his father, uncles, grandfather and great-grandfather. Golden amber with a pale green tinge at the rim which denotes great quality and class. Very complex on the nose with a powerful fragrance that belies its age. The palate is a gamut of flavours, ranging from delicate fruit and raisins to burnt toffee and chocolate. The persistent aftertaste is sheer pleasure.